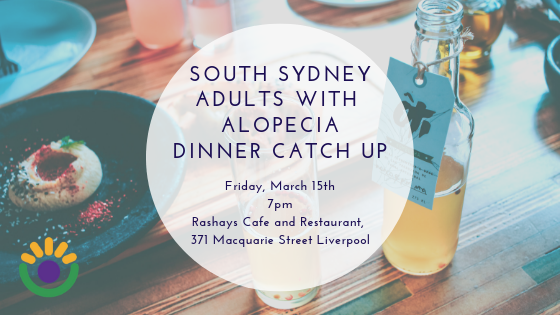 Join our Sydney Alopecia Support group for a fun and friendly dinner get together on Friday, March 15th. Rsvp to Carlo@aaaf.org.au to let us know you’re coming so we can book a big enough table. Looking forward to seeing you there!